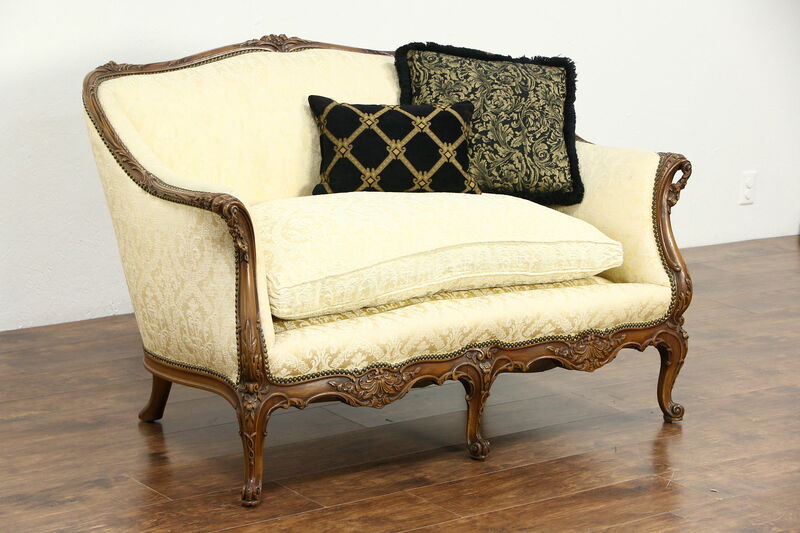 Richly carved in the French manner, an elegant loveseat or settee has a strong and tight maple frame, with a very fine original finish. American made vintage furniture from the 1940's, the soft seat has a down cushion that is a little undersized, see photos. Recently upholstered in European damask, the deep seat is very comfortable. Measurements are 53" wide, 35" deep, 34" tall and the seat is 18" high.